When a forest is fragmented, this increases the amount of forest edge relative to the interior. Edge effects can lead to loss of animal and plant species and decreased plant biomass near forest edges. We examined the influence of an anthropogenic forest edge comprising cattle pasture, coconut plantations, and human settlement on the mantled howler (Alouatta palliata), white-faced capuchin (Cebus capucinus), Central American spider monkey (Ateles geoffroyi), and plant populations at La Suerte Biological Research Station (LSBRS), Costa Rica. We predicted that there would be lower monkey encounter rate, mean tree species richness, and diameter at breast height (DBH) in forest edge versus interior, and that monkeys would show species-specific responses to edge based on diet, body size, and canopy height preferences. Specifically, we predicted that howler monkeys would show positive or neutral edge effects due to their flexible folivorous diet, large body size, and preference for high canopy, capuchins would show positive edge effects due to their diverse diet, small body size, and preference for low to middle canopy, and spider monkeys would show negative edge effects due their reliance on ripe fruit, large body size, and preference for high upper canopy. We conducted population and vegetation surveys along edge and interior transects at LSBRS. Contrary to predictions, total monkey encounter rate did not vary between the forest edge and forest interior. Furthermore, all three species showed neutral edge effects with no significant differences in encounter rate between forest edge and interior. Interior transects had significantly higher mean tree species richness than edge transects, and interior trees had greater DBH than edge trees, although this difference was not significant. These results suggest that forest edges negatively impact plant populations at La Suerte but that the monkeys are able to withstand these differences in vegetation. We are grateful to Renee Molina and the Maderas Rainforest Conservancy for their support and facilitation of our research at the La Suerte Biological Research Station, Costa Rica. We thank Renate Schlaht for sharing feeding tree data, Palomo Aguilar, Marie-dominique Franco, Arlene Ruddy, and Caleb Garzanelli for help mapping and clearing transects, Michael Ennis for population survey data collection, Nicholas Hug for GIS assistance, and Ryan Janzen for technological consultation. We also thank Madison Azzara, Troy Levinson, Tim Cooney, Tianna Wagner, Macy Cox, Natalie Lopez-Esquibel, Katie Pepperl, and Renate Schlaht for help conducting vegetation surveys. 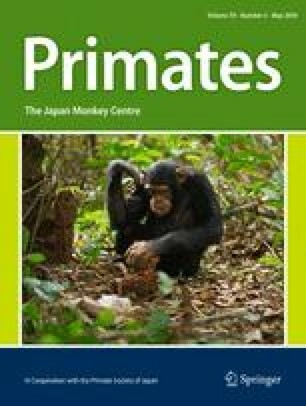 Finally, we thank the Primates associate editor and reviewers Kimberley Hockings and Giuseppe Donati for their helpful comments which have improved this paper. Our research complies with the ethical standards in the treatment of animals corresponding with the guidelines laid down by the Primate Society of Japan, NIH (US), and EC. This research protocol was approved by the Regis University Animal Care Committee and was conducted with the permission of the Costa Rican government, the Maderas Rainforest Conservancy, and the Molina family. This research was supported by University Research and Scholarship Council (URSC) Faculty and Student Research and Scholarship Grants (Regis University) and the Maderas Rainforest Conservancy.